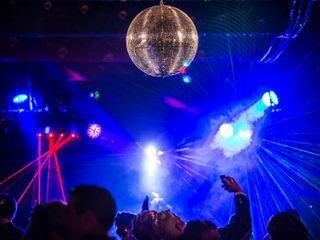 DJ Babyblu is a DJ business based in South Salem, New York. DJ Blu (James) has been closely involved with music since he was a young child. When he was young, he learned the piano and guitar. As he got older, he began collecting records and sharing music with others. 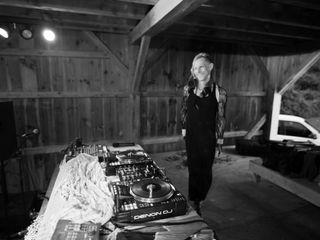 For the past 20 years now, DJ Babyblu has been performing at various clubs and weddings. Additionally, he has worked with big names in the music industry like Wyclef Jean and DJ Tiga. 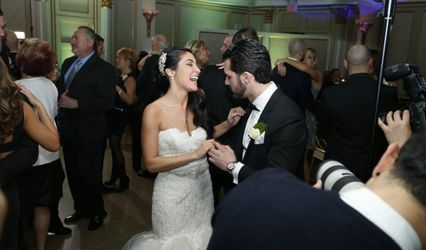 With this extensive experience, you can be sure your wedding day entertainment will be memorable for all. 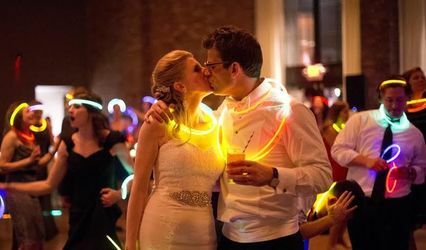 On your wedding day, you will get to enjoy DJ Babyblu’s specialty of live mixes. Couples have many genre options, including club, country, electronic, jazz, pop, R&B/ soul, and top 40. To ensure you have all his attention on your big day, he only books one event per day. Other services he can provide couples with include a do-not-play list and an MC. Records records and more records!! 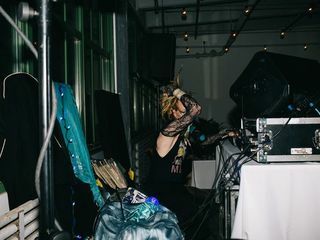 I (bride) first discovered DJ Baby Blu attending a party at a SoHo bar in NYC. I loved the party, but the whole evening could have been me and Blu. Not only does Blu have excellent taste in music for a variety of genres (being an original master of the 'mash-up'), he also encompasses his whole self in his presentation. Watching him spin feels like a performance. You really can tell that he puts his mind, body and soul into the experience. I quickly became a fan and preemptively requested Blu's presence at my non-existent wedding. Alas, the day finally came and DJ Baby Blu made my dreams come true. I affectionately nicknamed Blu, "Transcendent Master of the Party." 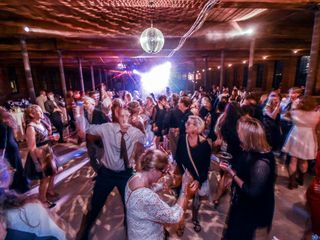 At our wedding, people got up on the dance floor who had not been on one in YEARS. 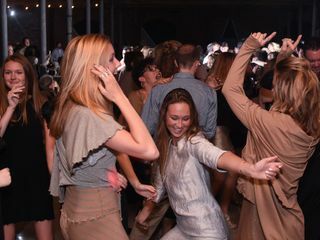 We truly brought the house down. It was a night like no other. Blu tastefully arranged the evening from cocktail hour to party o'clock. He prepared several specific song requests that we had, but otherwise I put my trust in him and was not disappointed!! (Throughout the entire process, Blu was very easy to get in touch and communicate with.) Blu arrived a day early due to our out-of-town locale, no problem and was there at the venue early to help set up sound. He came prepared with his equipment and everything sounded fantastic. A number of people came up to me at the wedding and asked for his business card! There is no question that DJ Baby Blu is an infectious talent, a proper professional, and a generous soul with a heart of gold. Simply put, our wedding would not have been the same without Blu. 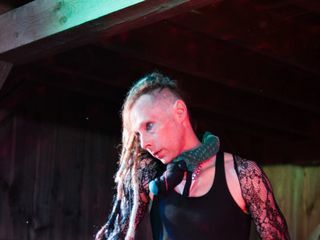 He performed for two hours at our after party and had an amazing set that people that attended the wedding are still talking about! Throughout the entire lead-up to the wedding, Blu was responsive, collaborative, professional, and most importantly excited to be part of our special occasion! He was a pleasure to work with, and he added so much to our wedding day. I cannot recommend DJ Babyblu enough! Blu is BY FAR the best DJ in NYC and the surrounding area. I've been dancing my face off to Blu's music since 2006 and now, as a wedding planner, I recommend him to my clients every chance I get. 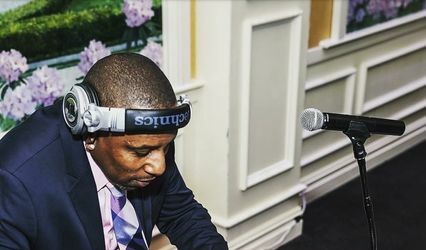 While very willing to give you the classic "wedding dj" experience - Blu's mixing of music, use of Vinyl and his originality is something that your guests will remember forever. 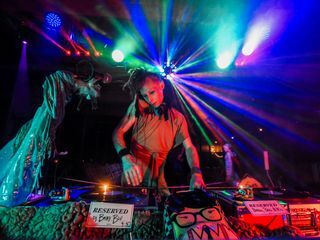 If you're looking for something truly special and unique - DJ Babyblu is IT.